Current week is registered in the calendar of the world as the world week for celebrating from the issue of climate change and warming of weather in the earth. On the same occasion, the national administration for protection of environment of the country released the second national report about climate change in Afghanistan. General president of National Administration for Protection of Environment, Shah Zaman Maiwandi in a ceremony held on the same occasion, said that according to article four and 12th of UN convention about climate change, the member countries are duty-bound that in every four year to prepare a national report about climate change. In connection with the aims of second national report about climate change, Maiwandi said that providing new information about emission of Green House gases and adapting with climate change, the measures adopted for reduction of the effects stem from emission of greenhouse gases as well as reporting about needed support are the main aims of this report. Maiwandi added that in fact, this report is a technical document that for the first time is prepared by Afghan experts that this itself is indicator of improvement in technical capacity in the country. Hinting to government commitment in fight against challenges stem from climate change, he added that the government is committed so to improve the present situation. Maiwandi stated that release of second national repot once more renews the commitments of the Islamic Republic of Afghanistan toward contents of framework of the UN climate change convention and implementation of national responsibilities before this convention. 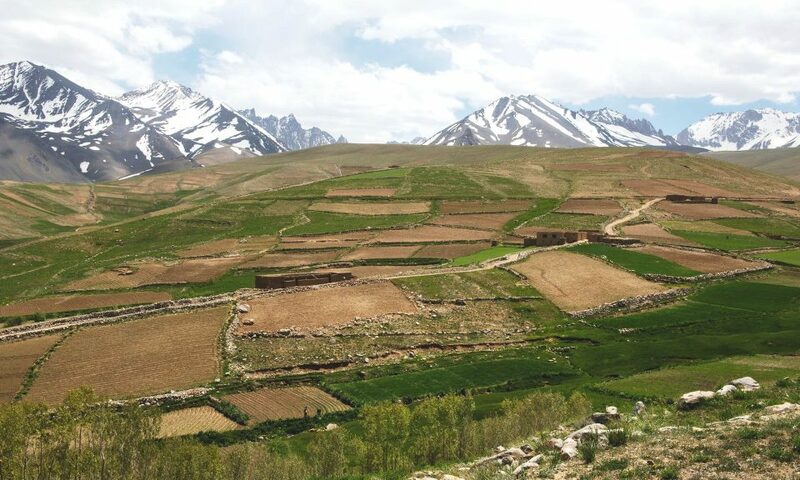 The Islamic Republic of Afghanistan expresses its thanks for global financial support and technical facilities for environment (GEF) and the UN environment program for realization of this national responsibility. According to him, the government of Afghanistan needs to take some programs in its hand for fighting against challenges stem from climate change and reliable figures and necessary knowledge is needed about unpleasant effects of climate change for planning. The aftermaths of climate change are more and has harmful impacts for humanity, earth and environment. Warming of the earth itself has direct impact on climate change. Protracted droughts, changing of weather and water and air pollution, reduction and elimination of drinking waters, elimination of agriculture, flowing of floods and demolishing of agricultural lands and living localities, oceanic tsunami, landslides in the cities, chronic diseases such as cancer, heart attack and casualties are the main aftermaths of climate change in the world. Because of being no industrial and productive country, Afghanistan has no contribution in emission of greenhouses gases and changing of climate, but within recent one, two years, the aftermaths are very harmful. In fact, Afghanistan is one of the countries that is more vulnerable before this change. Based on figures, this issue impressed our 22 provinces. State Ministry for Counter Disaster previously had asserted that consecutive droughts in the country, made directly two million people suffering that are in dire need of immediate humanitarian assistance. Drought that is stemming directly from climate change and caused annihilation of agricultural lands in some parts of the north and north-western of the country, this itself caused internal displacement. According to the figures released by the said ministry, 300000 people of Ghor and Fariab displaced from their native places and refuged to other provinces and finally as a result of drought, all grazers are damaged and lack of fodder caused the quadrupeds be died. Farmers and livestock owners because of non-access to fodders compelled to sell their livestocks against meager money and this exacerbated their economic problems. Drought and lack of rainfall stems from climate change and also the level of underground waters lowered in larger cities such as Kabul and others and millions people are facing with shortage of water. To prevent from the effects of climate changes, the gas of greenhouses should be reduced. In 2015, the leaders of over 150 countries of the world gathered in Paris and signed a treaty to prevent from the effects of climate change. The conference decided the greenhouse gases should be reduced and use the renewing energies. Based on this treaty, those countries who play main role in pollution of air and environment, committed that those countries who have no impact or less impact on pollution of environment should be assisted and these aids should be spent for prevention from climate change and reduction of its effects. As a great polluters of environment, the US and China signed the treaty but last year, president Trump officially withdrew from treaty and China and European Union condemned the withdrawal of the US from this treaty. Although with withdrawal of the US other countries remained loyal to their commitments. But with withdrawal of the US as one of great industrial countries and polluter of environment, this would face the world program of prevention from climate change with a great problem.